It's not fully functional, but close enough to the real thing for a trip back to the Windows days of yore. 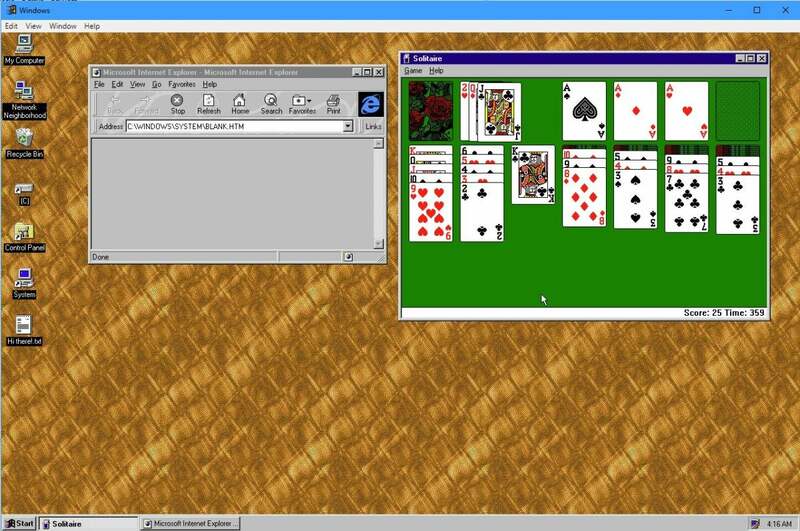 If you have about 200MB of bandwidth to spare and a taste for the nostalgic, why not take a moment and download Windows 95, as an app? Felix Rieseberg constructed one of Microsoft's iconic operating systems as an Electron app, which is downloadable from GitHub for Windows, Mac, or Linux. It's unknown whether Rieseberg received any help from Microsoft itself, or whether or not what he constructed is technically legal. At this point, really, who cares? Unfortunately, classic games like Space Cadet Pinball seem to have been omitted (though FreeCell and Solitaire are still there) . But if you're eager to return to a time when autoexec.bat and BSODs were a thing, take a few minutes and relive the glory days.